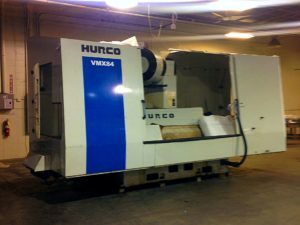 Blog - York Haven Fabricators, Inc.
York Haven Fabricators invests in a new Hurco VMX Machining Center. Our machining center delivers high performance capabilities to any machining application. Whether you are doing batch production or die/mold work, York Haven Fabricators can machine your parts in larger quantities, with higher quality, and deliver in less time. If you want to learn more about all the benefits of precision CNC machining services or work with a credible CNC machining company, contact York Haven Fabricators today. Precision CNC machining services are essential for dozens of industries. 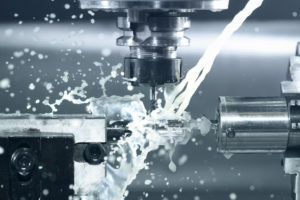 Everything from telecommunications and Fiber Optics to food manufacturing and aerospace technology relies, in some form, on precision CNC machining services. Computer numerical control (CNC) machines have been providing modern precision services since World War II, becoming industry standard during the late 1960s. Today, since industrial sheet metal is the number one most common type of metal across the manufacturing sector, CNC machining is used much more frequently for sheet metal fabrication than in days gone by. 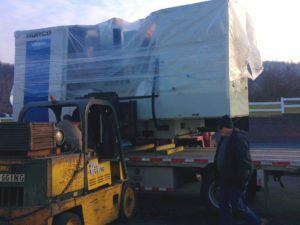 But this type of machining has been providing precision tool automation for decades, and with recent developments in the computer industry, the term “precision machining” has taken on an entirely new meaning. But how does the actual machining process work? Computer aided machining now allows for the manufacturing of very precise, very necessary parts with the most precise specifications. This type of machining can produce all kinds of complex components with a degree of accuracy never before seen. 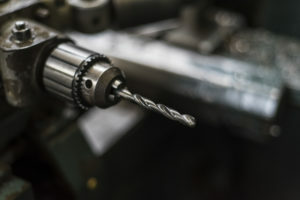 Whether it’s lathes, routers, mills, grinders, or dozens of other tools and components, all of these can be controlled by CNC precision machining. 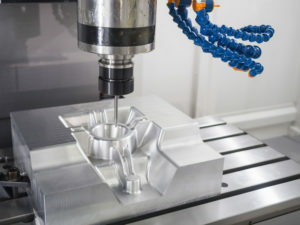 Today, 5 axis machining is similar to traditional CNC machining, but it uses CNC machines to move a workpiece along five different axes simultaneously. Because of the five axes, much higher levels of precision are able to be obtained and very small complex parts can be controlled. Though 5 axis machining involves highly advanced technology and increased accuracy, this process remains quite affordable. Thanks to a stronger emphasis on precision and accuracy over the years, CNC machining can reach tolerances as low as 0.002 inches. No matter what industry you’re working in, you’re going to need State of the Art programming software, as well as highly accurate and highly capable tools, to ensure success. Proper CNC machining is necessary in all aspect of manufacturing and programming. Plus, thanks to the Internet, it’s never been easier to share designs with precision CNC machining services, even if they’re on the opposite side of the world. Your specifications and designs can be easily downloaded and stored so that quality machine shops can produce your parts down to the thousandth of an inch. There are so many careers that would be essentially obsolete if it wasn’t for precision CNC machining. Though the technology has rapidly improved over the last few decades, it looks like CNC machining isn’t going anywhere. If you want to learn more about all the benefits of precision CNC machining services or work with a credible CNC machining company, contact York Haven Fabricators today. Metal fabrication is a complicated process that requires both experienced labor and high quality machinery. The major benefit of 5 axis machining is the ability to machine couples shapes in a single set-up, subsequently providing greater machining productivity and making the entire task more time efficient. In simpler terms, a block of material is manipulated until the unnecessary bits have been removed and the target object is all that’s left. Hopefully this will help you better understand how 5 axis machining is used within the metal fabrication industry. 5 Axis CNC Machining — Computer numerical control (CNC) manufacturing uses a multiaxis machining software system to support the milling away of access material by either water jet cutting or laser cutting. With these precision CNC machining services, the amount of human labor is drastically reduced for each milling task, a more precise surface finish can be obtained, and much more complex parts can be manufactured. A 5 axis CNC machine simultaneously moves a tool to perform a milling job and remove excess material from an object. However, 3 axis machining only moves a part in two directions while the tool moves up and down. The number of axes for multi axis machines can range from 2 to 9, with 5 being the most common. The 5 Axes Configurations — A 5 axis machine’s specific configuration determines which rotational ages (of the three) it will utilize during a milling task. A common style of 5 axis machinery operates with an A-axis rotating about the X-axis and a C-axis rotating about the Z-axis. Consequently, a swivel-rotate-style axis machine operates with a B-axis rotating about the Y-axis and a C-axis rotating about the Z-axis. Getting The Most Out of 5 Axis Machining — Since 5 axis capabilities are often under-utilized across various industries, it’s important to use high quality equipment and take excellent care of its maintenance needs. If you want to learn more about how 5 axis machining can help your company, or find some of the best sheet metal fabrication Pennsylvania has to offer, contact York Haven Fabricators today. Computer numerical control (CNC) machining is an integral part of various industries, from the military to automakers and energy companies. If your business is working alongside a quality CNC machining company, then it’s important to understand the ins and outs of the sheet metal fabrication industry. While we can’t teach you everything there is to know about this complex process in a single blog post, we can give you the basic resources you need to work well with a precision sheet metal fabrication company. Here are a few frequently asked questions about understanding precision CNC machining services, sheet metal fabrication, and industrial metal uses. What type of metal is used most in the industry? When it comes to the manufacturing industry, industrial sheet metal is the most commonly used type of metal. How long has sheet metal been in use? According to most scholars, sheet metal was first implemented for industrial use between 5,000 and 4,000 B.C. As far as CNC machining and other modern precision fabricating machines are concerned, however, they were introduced after the Second World War. 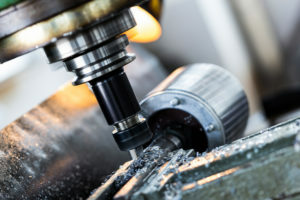 With advancements in computer and laser technology, machining tools have gotten more and more precise. How does the sheet metal industry affect U.S. employment? Currently, fabricated metals, in terms of employment, are responsible for the third largest manufacturing industry throughout the United States. As of 2015, the most common metal fabrication profession is a machinist. Has sheet metal improved over the years? Sheet metal is much more durable today than it was just 10 years ago, let alone 5,000 years ago. Over the last decade, for example, steel parts have become much more dent resistant and are even up to 30% stronger. How much metal is recycled every year? 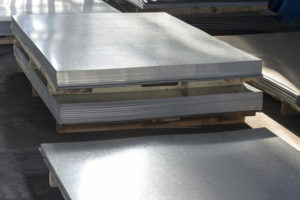 Though there are numerous uses for sheet metal across various industries, these metals are easily recycled as well. Approximately 69% of all waste steel is recycled every year across North America, making it one of the most commonly recycled materials on the planet. What does the future look like for the metal fabrication industry? The need for sheet metal will likely never go away. By the year 2020, it’s projected that the international metal fabrication equipment market will grow by nearly 7%. Because the military, automobile companies, energy companies, and even medical companies rely on sheet metal, the industry is proving resistant to other negative trends in the manufacturing sector. These are just a few common questions we’ve heard at our CNC machining company over the years. If you want to learn more about the sheet metal industry, 5 axis machining, or speak with a credible CNC machining company, contact York Haven Fabricators today. Here is a short documentary about Los Angeles based automotive fabricator Yannick Sire. A true artist in his field, he created a twin engine monster from scratch, with spare parts, and no computer aided design, in his garage.